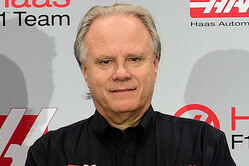 There's no dewy eyed sentiment from the boss of America's latest venture into F1, though he is happy to follow in the tyre tracks of All American Racers, Parnelli, Penske and Scarab, he is totally honest as to the main reason he want to see the Haas name on the F1 grid. "The more notoriety you get, the more our brand will be known and the more machine tools we will sell," he told Sports Business Daily. "It's all part of the plan. "You can't buy the kind of notoriety with advertising that we are getting now," he continued, "and it helps sell our product in the rest of the world. "Just like NASCAR is very dominant in the United States, half of our production is actually consumed in the United States," he admitted, "if we could increase our market share by even 1 or 2 percent in the rest of the world that would almost double our sales. That really is the goal to bring that brand recognition, produce more product in the United States and sell more overseas. "We were in Madrid for an open house and there were TV cameras, reporters and people wanting to know about Formula 1. They said, ‘Okay you are a Formula 1 guy. But what do you do? How did you get into it?' That's what leads into, 'We build machine tools and this is part of our marketing plan to sell more machine tools.' We are getting the message out. "I was in Mexico City," he continues, referring to last year's Grand Prix, "and there was incredible interest. I've never seen so many fans. The only time I've seen that many fans at a race was at the Indy 500 or at the Daytona 500, those two premium races and I saw that in Mexico and we sell a lot of product there too. "There's a lot of enthusiasm for Formula 1, especially outside the United States, if we could get that kind of enthusiasm in the U.S. that would help a lot with our sales here too. There's no way I could have bought that publicity by advertising." Whilst more than happy to talk about the Haas brand, the team owner is a lot less forthcoming when asked about the possibility of an American being employed as reserve driver. "We don't have a reserve driver at the moment," he admits. "If we can find a common reserve driver with Ferrari or someone that would probably be the best way to do that. With the safety there is today you generally speaking need a reserve driver just for sickness or some other emergency. The need for a reserve driver probably isn't as important as you think. We don't typically have reserve drivers in NASCAR either." Referring to his 2016 drivers, he says: "Gutierrez has been a Ferrari test driver, so he's up to speed with simulators and Ferrari equipment. He has driven some of the Ferrari cars, so he's going to be a little bit further ahead. "Grosjean as a current F1 driver is going to be more familiar with the tracks, requirements and tire strategies. We have none of that knowledge now. "Most teams will develop a book as they go from race to race, year after year and you look at those notes. We don't have a notebook, so we have to develop all of that. I think that's where Romain will have an advantage, and then Gutierrez will have the advantage on the equipment side since he's going to be more familiar with it. Those two guys together will be able to complement each other and give us a better package." "It will be a building experience," he says of the year ahead. "We are going to this party without really knowing what it's like. "We can sit there and watch what other people do but there's nothing like being there. That's going to be the experience. "I think we are prepared, I think we will do well at it but you have to really be there to learn it. All the reading you can do and talking to other people, the challenge is being able to do it. I'm sure we will make tons of mistakes, correct those mistakes and be better prepared for each race. "After we are done with those 21 races, we will have a whole year behind us and our notebook will be full of what we need to know. And we will do better after that." "American team? American drivers? Unveil at Barcelona???? Can't even do THAT in America!!! Sad!" "What a difference compared to the USAF1 the group with a comic strip on You Tube and a carbon nose cone that they sent to the UK for testing." ""It will be a building experience," he says of the year ahead. "We are going to this party without really knowing what it's like." And that's exactly the way it should be. As you move through the first year, you find what will work for your team, not try to make what works for another, for you. Know that we are anxious to see your team on the track and will certainly support you as you move to the front of the pack. Best of luck."